Frighteningly original Shakey Graves shook the rafters at Gruene Hall, the 6000-square foot historic Central Texas dancehall just outside New Braunfels Feb. 20. Graves, (born Alejandro Rose-Garcia,) performed his hauntingly sweet mix of gritty and melodic vocals for a standing room only crowd. 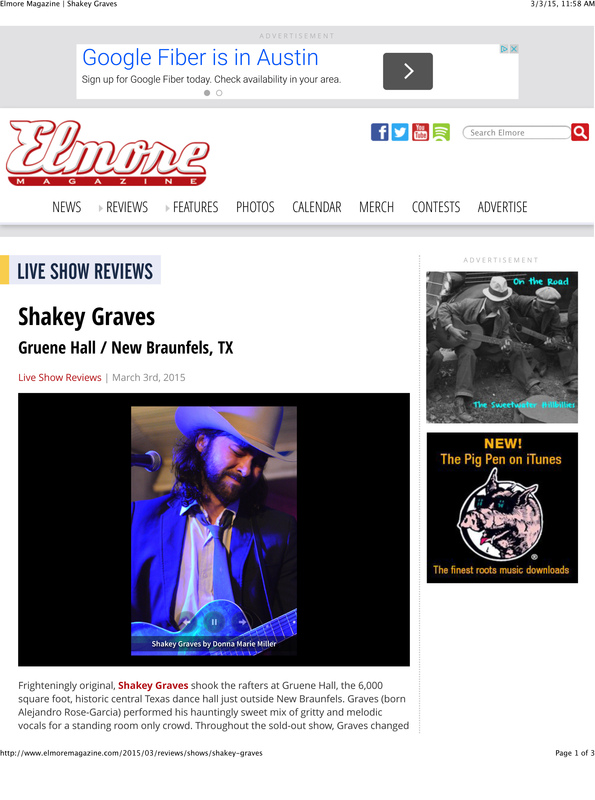 Throughout the sold out show, Graves changed tempo with tantalizing tunes not classified singularly as either country, blues, or folk and brought his audience participation to new levels. Playing his hollow body acoustic guitar and homemade kick drum made from a Samsonite suitcase, Graves alternated between performing solo and delivering a big sound together with upright bass player Macon Terry and drummer Chris “Boo” Booshada. Millennials who had gathered nearly two hours beforehand to drink Shiner Bock beer from longneck bottles stood, stomped, clapped and chanted choruses on song favorites such as “The Perfect Parts” within a handshake of Graves. 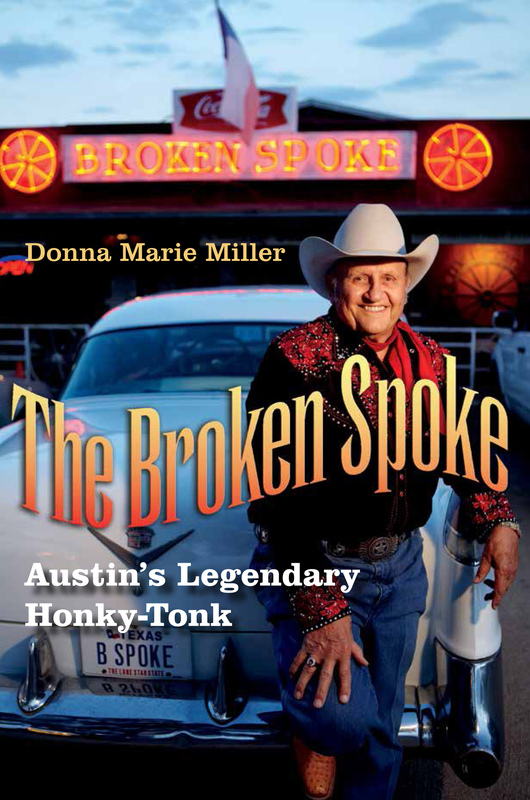 Dressed in his suit, tie and Bob Wills-style hat, Graves granted an encore soaked through with perspiration as temperatures, spooky in February even for Central Texas, hovered at an uncharacteristically balmy 75 degrees. That’s when a female fan, identified only as Nicole, took the stage to harmonize on “Dearly Departed,” the song he previously recorded with Colorado native singer Esme Patterson for his And the War Came On album released last October on Dualtone Records.